A tad late methinks for the traditional Seasons Greetings but not too late to wish everyone a brilliant New Year in 2007. May all your wishes come true. Apologies to subscribers to my newsletter who didn't receive the Christmas edition in their inbox this year. Did you miss it?? There are a few ongoing problems with the website so it didn't even make it there but I hope it will all be sorted out in the new year. I did wish everyone on the list a Very Merry Christmas, you just never knew about it! Just the New Year's Eve parties and then we'll all be back to normal for another year. Hope it goes well for you all and I shall be newsy in January! Believe it or not, (and those who know me won't believe it), I'm starting to catch up on myself. The Christmas cards are written AND posted and the tree is twinkling away. No presents bought yet but hey, I'm not doing too badly....... we've even bought (I'm nearly embarrassed to say it) an inflatable seven foot Santa. Not a small child anywhere but still we bought it. It was only a tenner! Its not been inflated yet though. We're saving it for ?? sometime?? when we've had a drink or two? Anyway, also on the catching up front, my website newsletter is with the webman as is the cover for PAST CHANCES, I've done my accounts, posted a couple of things on the internet and typed my email Christmas card. Phew. Now I need to lie down. I shouldn't be smug about the cards because I don't actually send so many now; for the past few years I've sent an email greeting to internet friends and ex-work colleagues and donated the would-be cost of cards and postage to my local Homeless Day Centre and Night Shelter that always bursts at the seams over Christmas. I'm sure no-one wants to be cold and alone on the streets over Christmas and New Years Eve even if they manage to survive during the rest of the year. I do however, always send cards to family, old friends and friends overseas who I don't see maybe from one year to the next and pf course enjoy getting them back. It's a continuity! I've bought some new books for the Xmas hols even though I'll have my copy edits to do. Hols and books just seem to go together; I've got Jeffrey Archer's latest (sorry guys but I like his books, always have done) The Guiness Book of Hit Singles, (once again!) and I'm going to re-read TANAMERA by Noel Barber which is a novel set in Singapore and Malaya during the Japanese occupation. Its one of the few books I've read several times; as I lived in Singapore for most of my childhood its very evocative for me. Of course I shall also have my pile of magazines. Some may call them 'trashy', I love 'em. Anyone else been excited to see Gorgeous George Clooney in TWO running ads on TV? Coffee AND Martini? Doesn't that man just brighten one's day out of all proportion? It's so nice to have a classic 'heart-throb' type of bloke hanging around in the sitting room albeit only for a few seconds at a time. Brickbat to Iceland for their excruciatingly painful 'That's why mums go to Iceland' ads that make so many women everywhere scream aaaaaaaaarrgghh amd want to put their feet straight through the screen. Anyone want to comment on their fave/unfave ads? I'd love to hear, just don't knock George. Quote of the day..... When everything in the kitchen fails, add alcohol. I'm late again posting this... my intentions are good but then life gets in the way and I fall behind with everything. And as for Christmas... well! But then every year it all gets done eventually and I guess I'd be bored if it all went well and I wasn't tearing around buying stuff at the last minute. This year is going to be a quiet Chrsitmas for us and I'm anticipating a few days of gratuitous TV, the Pirates of the Caribbean DVD, the Beatles CD and a bottle of the new Caramel Baileys. For those who don't know me, I am not a Domestic Goddess and we are a vegetarian family. So our Christmas dinner will consist of..... A Quorn Roast, frozen packets of: roast potatoes; parsnips; brussels with chestnuts; glazed carrots. Stuffing. Gravy granules. A pudding in the microwave, cream in the fridge and a big chocolate gateaux. Open packets, throw in oven and eat an hour later! I don't do eighteen hour countdowns to the perfect Christmas! Not forgetting of course the wine and crackers and Carols. 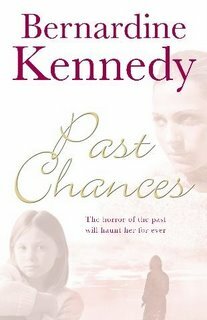 Below is the cover for PAST CHANCES. I'd be interested to know what you think. It's in the style of OLD SCORES which did very well. Before I was published I used to think that a book was a collection of pages that made up a story that would succeed or fail on the content. True.. eventually! But if no-one gets to see the book on the shelves then no-one will ever be able to buy it even if they want to! The cover and the very brief outline on the back are the most important 'eye-catchers' that first encourage the Booksellers to look and then maybe put it on their shelves. Next comes the first page (though I do know someone who reads the last page first???) and then after that its all down to a big chunk of luck and a lot of word of mouth. Come next May I shall be looking and hoping for both! 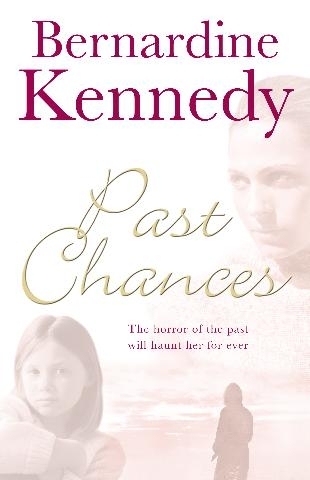 All my covers are now up on the blog so thanks to Mandy whose techy skills are brilliant. Next I might try and scan the foreign issues and put them up.... though maybe not! Has anyone else been addicted to 'I'm a Celebrity........' ? I almost feel guilty about it because there is so much criticism of the programme (dumbing down TV etc) but I find it fascinating and such an insight into human behaviour! I don't like 'ordinary' reality shows because to my mind they are just cruel and encourage ordinary people to lay themselves out to be trampled over by so-called 'witty' celebrities; but when the tables are turned and it's the celebs in the hot seat? Bring it on I say. I watched the jungle every day. I have to say the jungle diet seems very successful, everyone lost weight so may have to give it a go. David Gest lost two stone in less than three weeks on rice and beans three times a day. Mmmm, yummy! After Christmas I think. Has anyone else discovered the joys of Freecycle, (www.freecycle.org) where you can pass on unwanted items rather than taking the to the tip and filling up the landfill sites? Check it out....... its such a good idea and is worldwide. I've given away a box of videos , a box of books (sad but necessary) and a TV/VCR. All would have gone to the tip as the chairty shops here are apparently overloaded with stuff. (No-one likes throwing stuff away if its still got life in it). I also took a couple of sacks of fleeces and coats to our local homeless centre along with some blankets. They need them for rough sleepers. I don't get into the politics of any of it, I know there are rough sleepers and I know they freeze in the winter so the whys and wherefores don't come into it for me. Its my son's birthday tomorrow (nearly today?) he's in Australia on his hols right now but just in case he's looking at this (as if) Happy Birthday Stevie B and if you get to Australia Zoo then cuddle a Koala for me.